After 20 months of happy employment at Embarcadero, I resigned last week from my position as Program Manager for Java and SQL Developer products to pursue a new job opportunity. May 8 is my last day. My tenure at Embarcadero was action-packed. Product deliverables every six months, travel to interesting destinations and working on cool technology with some of the best and brightest. I am relocating to Dubai. No Eclipse. All about Microsoft. Of course, the main mandate continues to be to manage large distributed development teams and deliver quality software on time and on budget. That is what I do (and do well ;). I have always wanted to work in the middle east, given the right opportunity. 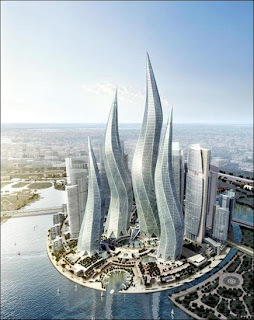 I am originally from the region, speak the language and do enjoy the larger-than-life things that Dubai has to offer. The fact that my new job has nothing to do with Eclipse had drawn interesting reactions from my Eclispe-loving circle of friends. Reactions ranged from a simple "wtf?" to Nick Boldt's more eloquent "But Eclipse has been good to you, and you have been good for Eclipse." To chronicle my new life in Dubai, my blog will need a new name. After much deliberation and research, I came up with a clever name: "Just Deserts." Thank you, Embarcadero. Thank you, Eclipse. We have many new efforts underway. Perish the thought, maybe 2009 will finally bring a powerful and easy-to-use Eclipse-based Java profiler. 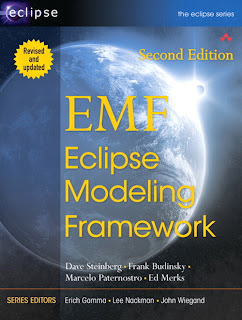 In an attempt to buy my love and to convince me that modeling is good for me, the EMF team has offered me a complimentary copy of the 2nd edition of the EMF book. They explore topics ranging from how "everything is a model" to how "a model is a model is a model", and they bring it home with a chapter that explores how "the model of a model is a model." I am looking forward to it. For the third edition, I think it would be interesting and effective to structure the book as a collection of essays and to tell the EMF story in the first person from the point of view of a model. 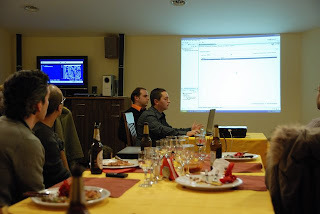 On November 11, I had the pleasure of hosting the first-ever Eclipse demo camp in Romania, showcasing some of the Eclipse-based products being developed in Iasi. The evening started with a little drama. Looking at this rare photo taken on a cell phone, one might suspect that it depicts my reaction to a world economy crashing. But no. 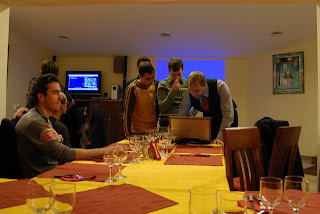 That is the moment when I realized that the wireless internet connection at the restaurant was weak . I was unable to connect to the license server and therefore the first demo was toast. 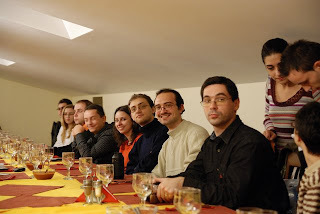 In a brilliant move, Andrei (in the yellow sweater) suggested to use the offline trial license to start the product. The show then went on. By 7 p.m., I had taken a chill pill, so I did the MC thing by welcoming the guests and giving a quick overview of the program for the evening. Hugo Boss was the unofficial sponsor of the event. Hopefully, next year Gillette will also sponsor. 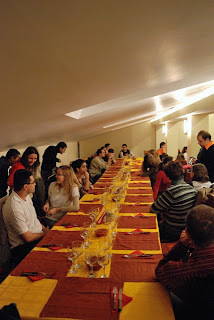 Food and drink were served right away. It is a good idea to watch demos on a full stomach and not make people wait. Marius Papara gave a preview of some of the new features in the upcoming 2.0 release of Embarcadero PowerSQL. 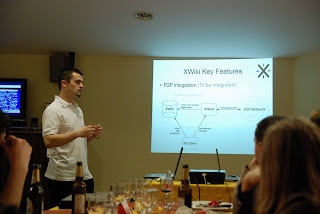 Eduard Moraru of XWiki gave a presentation on XEclipse, an Eclipse plug-in for viewing, editing and managing XWiki pages. Razvan Fodor and Sergiu Vidrascu showed how Embarcadero Change Manager can help database admininstrators and developers cope with the problems related to database change management lifecycle. and to the organizing committee for their hard work. Next stop: the Warsaw demo camp. I am so filled with the joy of Eclipse DemoCamps '08 that I cannot contain it. First, it was the Poznan camp with its Eclipse enthusiasts and famous goats. 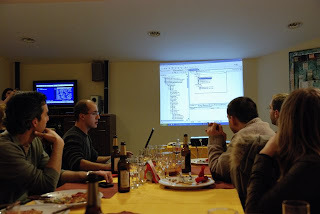 Like that's not enough, I then got a generous invitation from Jacek Laskowski, leader of the Warsaw Java User Group, to attend their all-day extravaganza. Then on a dare to set a record for attending the most demo camps in a single month, I decided to organize the first-ever demo camp in my adopted home city of Iasi, Romania. I am not aware of companies, other than Embarcadero, that are building Eclipse-based products in Iasi. 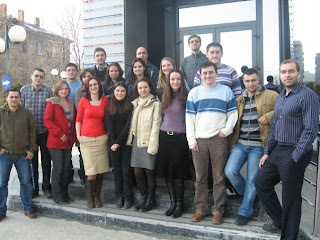 However, there is a strong Eclipse presence as a Java IDE in Iasi universities and companies. The last time we hosted an Eclipse-centric event, it was attended by 100 people (a full house) on a rainy Saturday morning. So that's a good sign. I have six dining room chairs in my house, so I have no experience organizing events for more than 5 people. But, who better to advise me on how to organize a demo camp than the Eclipse Foundation's Marketing Events Manager/Genius Lynn Gayowski? Create an organizing committee made up of four reliable, happening people who can carry stuff and have good planning skills. At least one person on the committee must have a car. So we sent the committee on a faux-planning session, where they were supposed to look busy in a photo-op against a leafy backdrop. They were supposed to pretend to be working, but Daniel, who is a workaholic, was clearly coding. Five minutes later, even though they seemed to have been wearing comfortable shoes, they got tired and sat down to rest. The date and venue will be finalized this week. Stay tuned! I love Eclipse demo camps more than life itself. 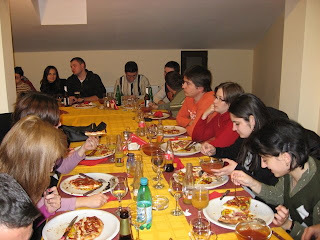 My chosen venue for the November '08 camp is Poznań, Poland, which is about a 10-hour flight from my home town. Now that's true love. 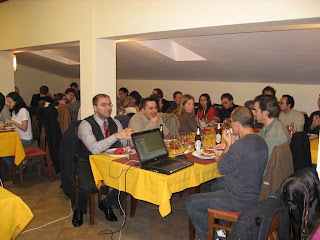 The event is hosted by the Eclipse Enthusiasts of Poznań. In addition to being grad students and IBM employees, these busy guys author one of the more entertaining and informative blogs on Eclipse, teach Eclipse summer school and contribute code to the Eclipse platform. In short, I want to be like them when I grow up. 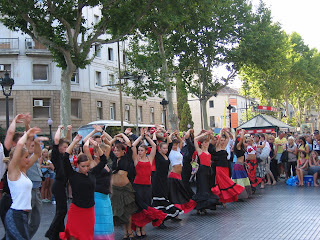 During my recent Lost in Spain™ vacation, I visited Mallorca, Spain's largest Balearic island. Mallorca is home to tennis royalty (Rafael Nadal), Hollywood royalty (Michael Douglas and his young wife) and the summer home to Spain's royal family. Mallorca is also the home to an old friend Emil, a mechatronic engineer living in the beautiful city of Palma. When I walked into his office, I expected to see a desk covered with electronic equipment, but I was certainly surprised to see an Eclipse application running on his monitor. So how is Eclipse used in Mechatronics on a Spanish island? Let's break it down. Emil is developing a rich client application that communicates via CAN-bus with a range of electronic sensor/actuator control devices using a USB-CAN adapter. With this application, he can monitor the states/errors, remote-control actuators and change the setting of each installed device. He can also send, read and verify the firmwares of all devices. The number of the control devices can reach 8000 in one installation. I am so filled with the joy of W-JAX '08 that I cannot contain it. I will be presenting a keynote at the conference in November and I am thrilled. No holds barred. Nothing off limits. It is going to be both fun AND informative. "I am so happy to be in Münich... The last time I was in Münich was ... blah blah." You can't go wrong with this intro. Everyone does this bit, including one of my favorites Tim Bray. 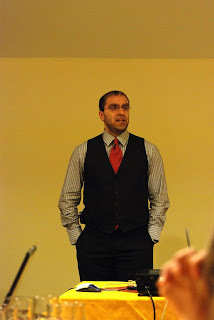 Then, I dive right into telling astonishing tales of building commercial software on top of Open Source frameworks. 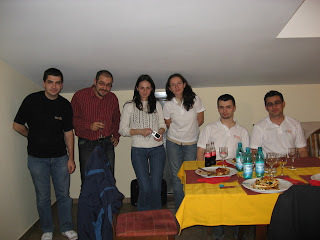 To give you an idea of how astonishing my tales are, here is a picture taken at EclipseCon 2008 of me telling stories to (from left to right) Ben Pasero (the smartest twenty-something guy I know who does not work at Google - yet), Bernd Kolb, and Martin Aeschlimann (JDT/UI lead and my bestest Swiss friend). 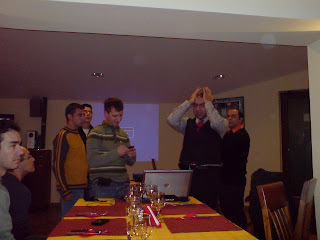 These three guys look mesmerized and I am hoping my talk will have this effect on the 800+ attendees at the conference. What makes a good keynote? If you have a story about commercial development around Eclipse that meets at least one of the criteria above, I would love to hear it. Please send an email to wassim dot melhem at gmail dot com.